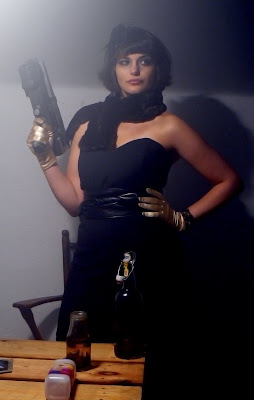 Carly Hirshberg is our femme fatale in Clonehunter. Her part was originally meant to be an grotesque alien with a rebreather. I'm kinda glad we went with the Carly look instead. she gets to be in my movie, right? !